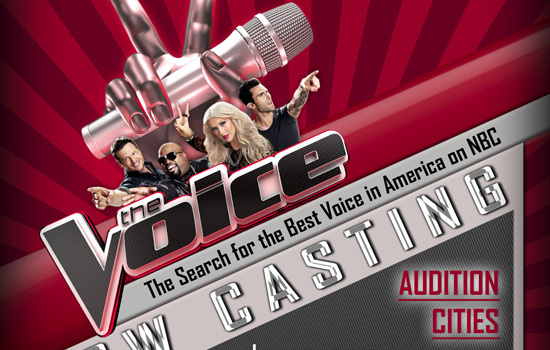 THE VOICE: Season Four Auditions! “The Voice” singing competition reality show featuring power-house vocalists Christina Aguilera, Cee Lo Green, Adam Levine, and Blake Shelton is returning to air on NBC for a third season very soon, however, is currently looking for raw talent with “the voice” for season four. Artists must be able to perform ALL types of genres that include: pop, rock, hip-hop, latin, country, R&B, country, blues, indie and alternative. It doesn’t hurt if singers have a good back-story as well.